In light of the multiple crises our cities are facing, architecture is now in a position to contribute positively to salvage and invigorate the urban realm . After a decade of recasting ourselves through cultural, technological, environmental, and social engagement, we–architects –seek to deploy a newly found adroitness to address the different paradigm shifts that render our cities less just, plural, safe, entertaining, productive, and environmentally proficient. 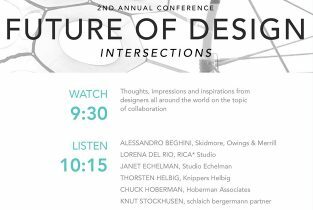 The second Future of Design Conference in NYC will take place on April 28, 2018 at the Education Alliance. 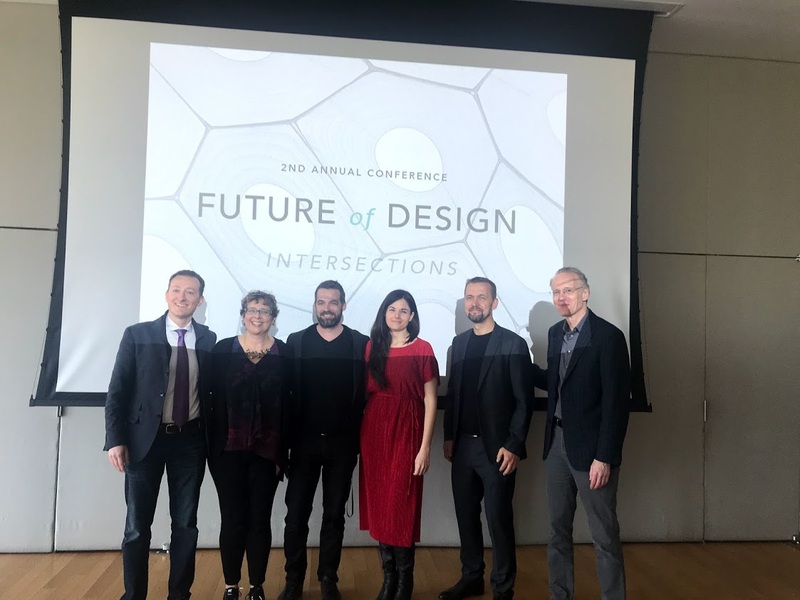 Structural engineers, architects, artists, fabricators, developers, entrepreneurs come explore intersections between disciplines and discover creative collaborations. 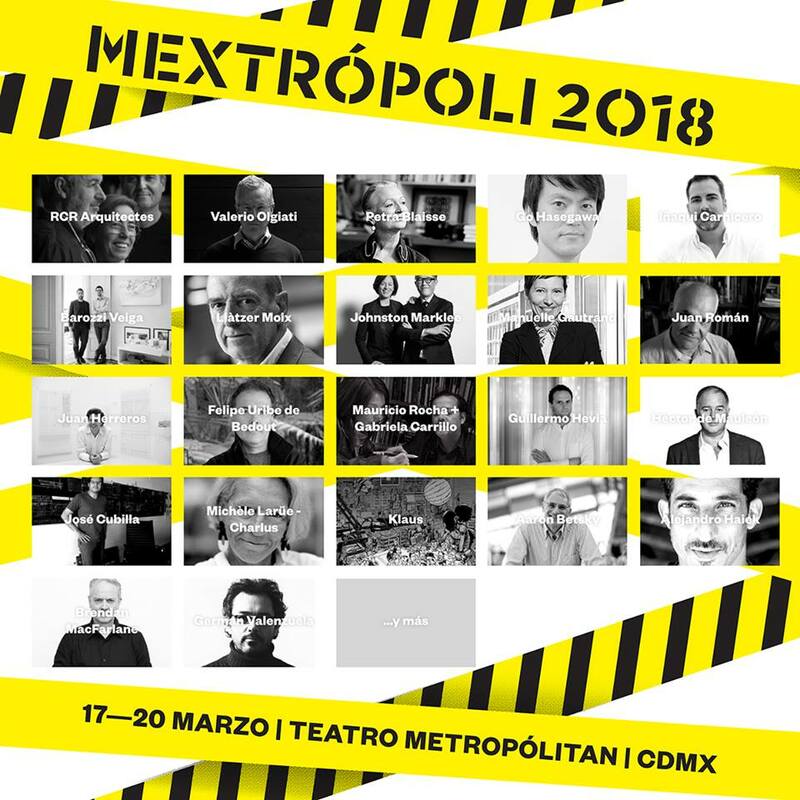 Come share your most interesting collaborative experience, discuss and debate about how it happened and what it suggests for the future of design in the built environment. the Mayor of Milan Giuseppe Sala, the rector of Politecnico di Milano Ferruccio Resta, the Chairman of the Triennale di Milano Stefano Boeri and the general secretary of Giangiacomo Feltrinelli Foundation Massimiliano Tarantino. 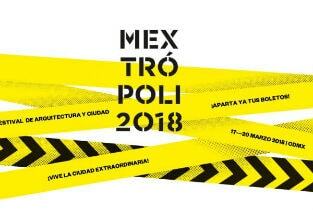 A week of debates, meetings, events and exhibitions on the future of cities. 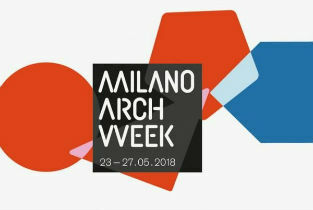 After the success of the last edition, from Wednesday 23 to Sunday 27 May, the Milan Arch Week is back, the week of events dedicated to architecture and the future of cities, promoted by the City of Milan, Politecnico di Milano and Triennale di Milano, in collaboration with the Giangiacomo Feltrinelli Foundation. With the second edition of Arch Week, for five days, Milan is confirmed as the world capital of architecture, involving the public in a busy programme of events open to everyone, workshops, installations, exhibitions, performances, lectures with some of the most prestigious winners of the Pritzker Prize: Jacques Herzog, Toyo Ito, Kazujo Sejima, Wang Shu, and many others, important at the international level, as Bjarke Ingels, David Adjaye, Sou Fujimoto, Alberto Campo Baeza, Jeanne Gang, Patrick Blanc, Carrilho Da Graça, Ecosistema Urbano, Iñaqui Carnicero, The Decorators, Ensamble Studio. La muestra “UNFINISHED”, comisariada por los arquitectos españoles Iñaqui Carnicero y Carlos Quintáns para el Pabellón de España, ganó el León de Oro en la Bienal de Arquitectura de Venecia 2016. “UNFINISHED” cuestiona el papel de la arquitectura y su evolución en tiempos de austeridad económica. La exposición presenta una selección de construcciones en las que, siguiendo el principio de economía de medios, se dispara el uso de soluciones inesperadas e ingeniosas. 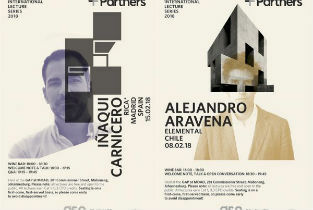 Las 55 intervenciones arquitectónicas elegidas muestran una forma de entender el entorno construido como algo inacabado (unfinished) y en constante estado de evolución. Esta versión de la exposición ha sido adaptada para la Embajada de España en Tokio por el co-comisario Carlos Quintáns. 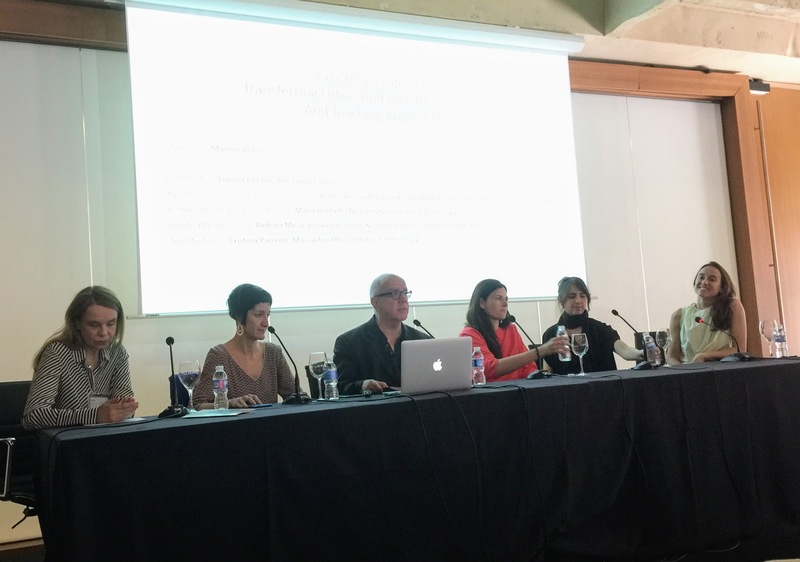 The exhibition “UNFINISHED”, curated by Spanish architects Iñaqui Carnicero and Carlos Quintáns at the Spanish Pavillion, was awarded the Golden Lion at the 2016 Venice Architecture Biennale. “UNFINISHED” questions the role of architecture and its behavior over time in contexts of economic constraints. The exhibition presents a series of selected built works where economy of means has triggered unexpected and ingenious solutions. The 55 selected architectural interventions demonstrate a way of understanding the constructed environment as something unfinished and in constant state of evolution. Lorena del Río is an architect, co-founder of RICA* STUDIO based in New York and Madrid, and an Assistant Professor at the Cooper Union. 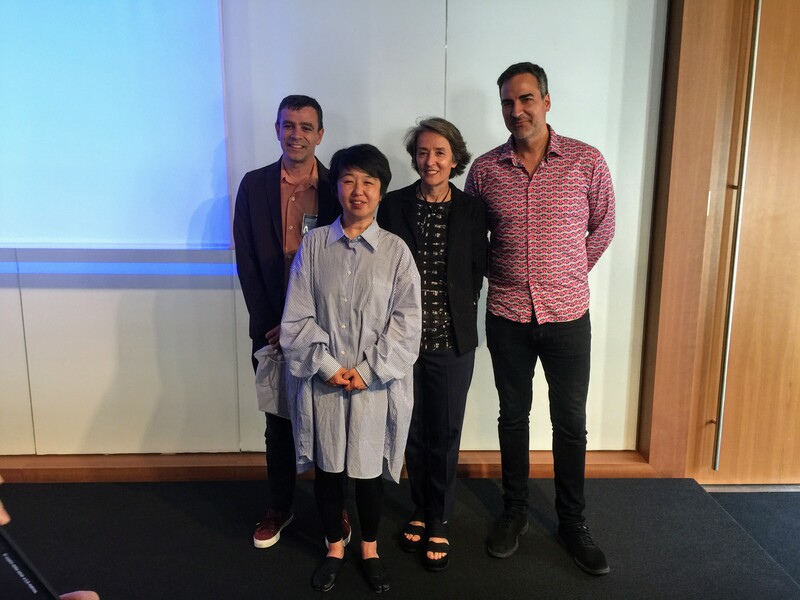 Her academic research stems from an interdisciplinary approach to design where architecture, art, and material research meet to promote emotional well-being. Lorena is educated at the Polytechnic University of Madrid, ETSAM, where she is also developing a PhD focusing on the sensuality of materials. 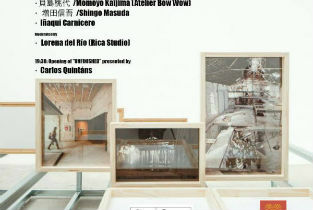 Prior to founding RICA* STUDIO together with Iñaqui Carnicero, she was a senior architect at SelgasCano. 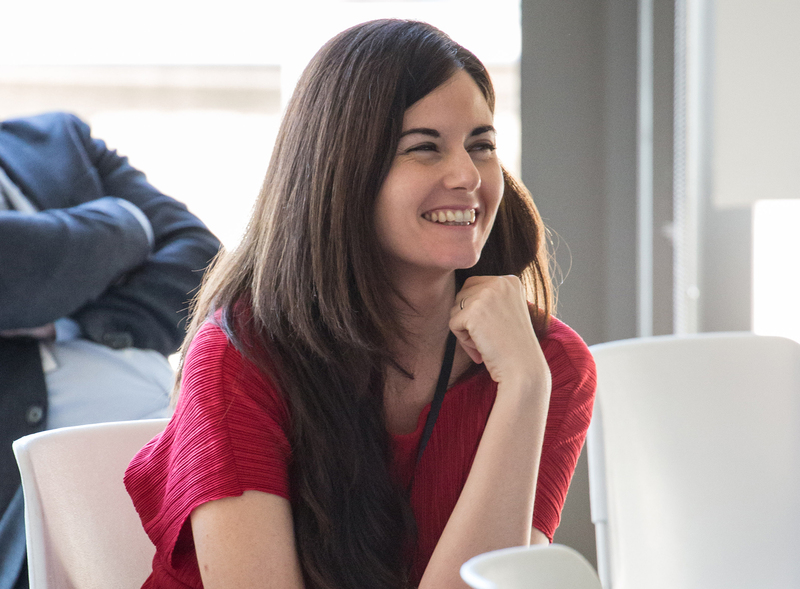 Lorena has taught at Cornell University as a Visiting Assistant Professor and California College of the Arts, where she also was the co-director of the BuildLab. In her conversation with Julia Gamolina, Lorena describes her incredibly rich career, working with her partner, and new beginnings. 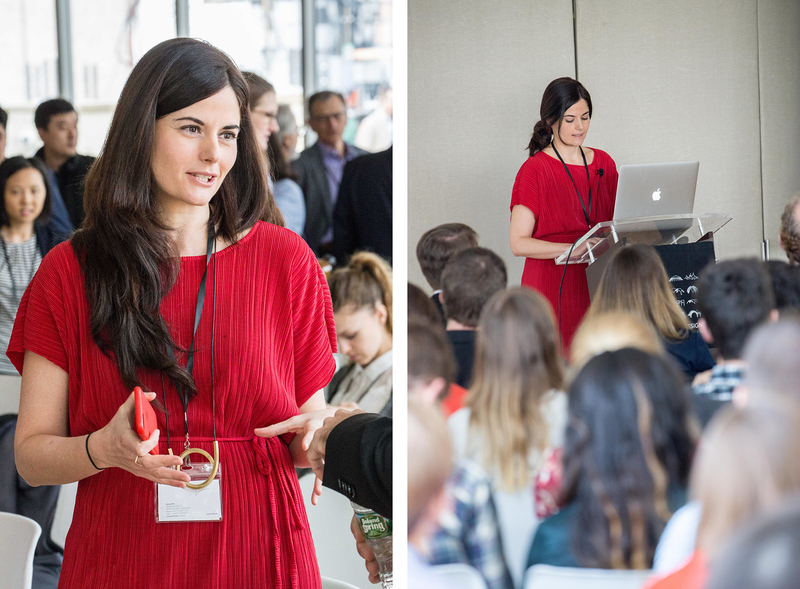 She also speaks to her intuitive approach in stepping out of her comfort zone, and advises young architects to find what they love and never give up. LDR: My parents owned an antiques store, so I was familiar with interiors, furniture, and objects since I was little. I thought I wanted to study interior design, but my intuition told me to go into something more technical. After my first year in architecture, I did fall in love with the technical aspects, especially with ways of challenging conventions. 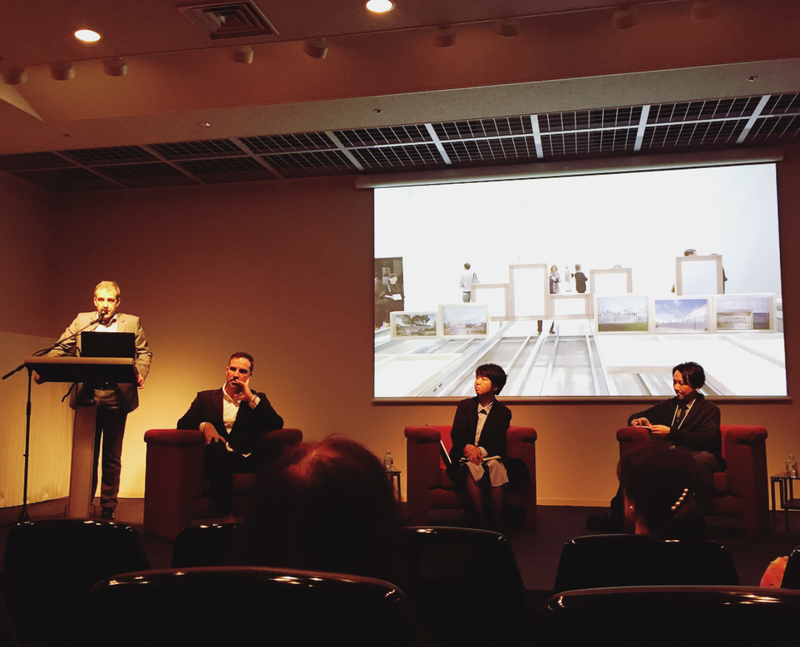 I also loved that an architect never works in isolation – it’s a profession that engages many other disciplines. Lorena at the SelgasCano office, 2008. SelgasCano is a very special and unique office – run by a couple, Jose Selgas and Lucia Cano. When I first came for my interview and saw their space, I thought, “These guys are so cool!” In the interview, Jose asked me what kind of music I liked. For them, these things are important, because they incorporate so much outside of architecture in their work. I worked with them for five years and more than “knowledge” in a conventional way, I learned a way of being. They taught me how to look through different eyes at everything – nature, art, music, cinema – and to bring it all together. Everything informs architecture; a movie, a natural setting, or a piece of art can trigger an idea for a project. They taught how to practice architecture as a way of living. 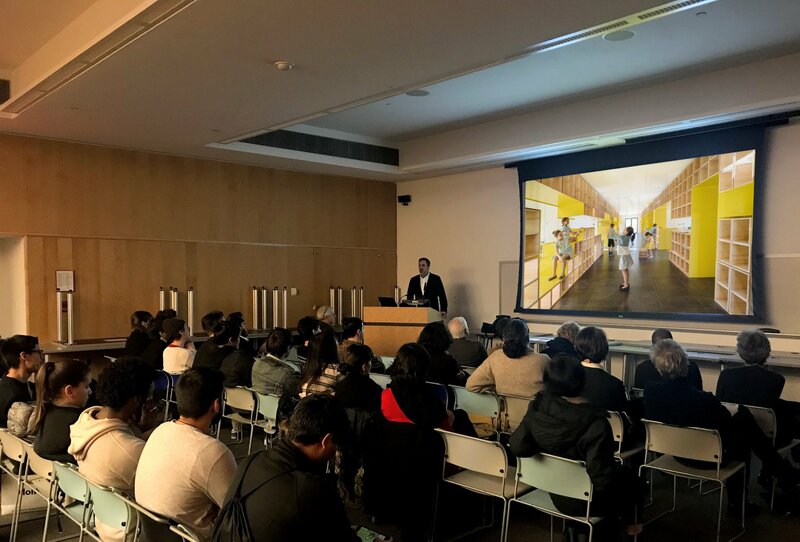 Yes – the partners were interested in materials that challenge the perception of gravity, create ethereal atmospheres, and deal with natural light in a new way. They use plastics in many different ways, they use a huge range of materials in general. 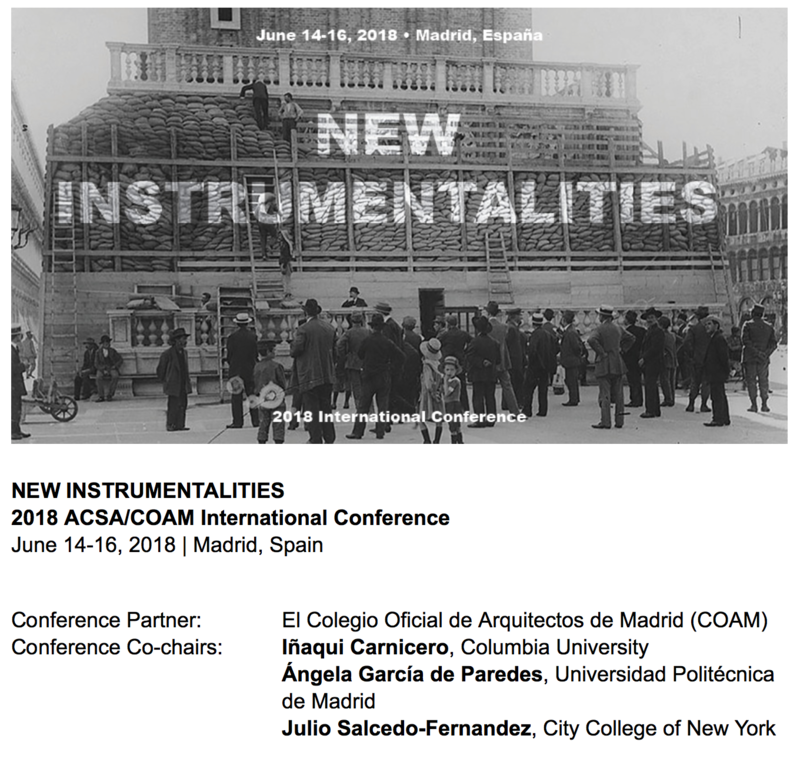 I became interested not only in the technical qualities of plastics, but also in connecting materials to the architectural concept at the very beginning, and being able to seduce with materials. I decided to pursue my PhD in these topics, and to use plastics as my case study. The crisis in Spain started to get worse and specifically affected architecture offices. My relationship with and the work at SelgasCano was fantastic – I loved seeing the auditorium in Cartagena open after working on it for five years – but after participating in all phases of different projects I felt that I had reached the top in the office and it was good timing to try something else. My husband Inaqui got an offer to teach at Cornell for a year. At first, I was planning to go to Ithaca to be a scholar and work intensively on my PhD. Then, I also applied to teach a seminar focused on my research, Introduction to Plastics, and ended up teaching at Cornell full time for four years. Lorena giving a lecture at Cornell University, Spring 2014. I was completely out of my comfort zone. The hardest thing was the language barrier – my English wasn’t like it is now, and it was difficult for me to communicate. I felt insecure about using the wrong grammar or the wrong vocabulary in front of my students. I was good at pretending I wasn’t frustrated by it but I really was [laughs]. I also had no idea what a seminar meant in American academia; I just presented my experience, without having anything to reference it against. Now I know that by teaching in a different way, I was able to bring something new. Jello Pavilion, Cornell University, Spring Semester 2015. By being patient and doing things the best way I knew how. I learned we should be able to make fun of ourselves; I remember saying things wrong in the first classes I taught at Cornell, and thankfully I was able to laugh and move on. I realized that it’s normal and it’s not about how you say things – it’s the type of things you say. Lorena with her Option Studio students, Cornell University, Spring 2014. 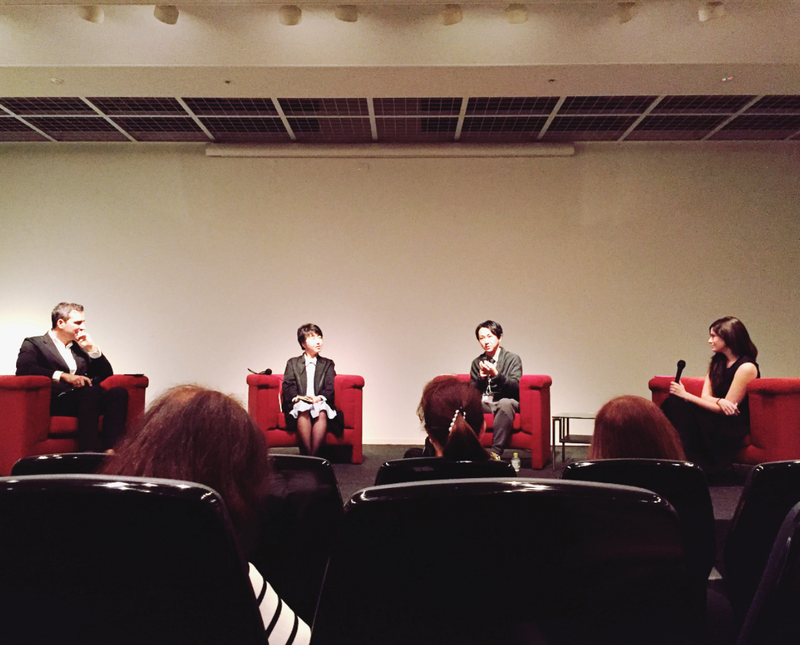 It’s very exciting and also unbelievable – I know many people applied for the position. The application process was a real challenge but also a real honor; in addition to having one of the most prestigious architecture programs in America, Cooper Union has the perfect balance between the size of the school, the intensity of the work, the amazing professors, and also the interdisciplinary approach. This makes the students very unique. Ideas City installation at the Cooper Union, September 2017. Our work is diverse. 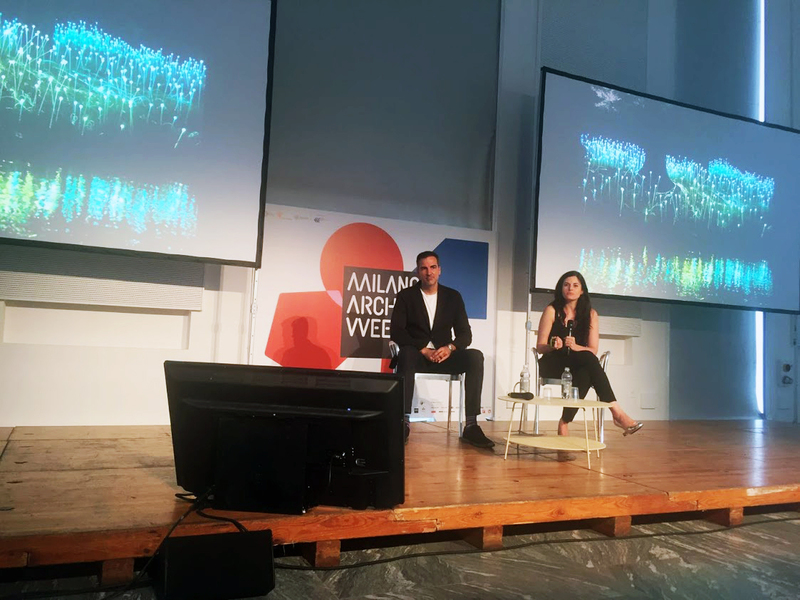 The Venice Biennale was huge for us – Inaqui was appointed the co-curator of the Spanish pavilion and RICA took the lead of the pavilion design. We received the Golden Lion, and are now adapting the exhibition to galleries around the world. Then, our private clients are giving us the opportunity to re-think the domestic space in several single family home commissions. We are also interested in challenging conventions in educational spaces, like in the project we recently completed to transform an existing building into a kindergarten. Finally, we love competitions; we maintain the routine of always having one on our desk as a way to engage with ideas in different cultural and social contexts. Radically. In Spain, the system of competitions is amazing. A young professional can get a big commission because it’s not about networking or about having a lot of experience – it’s about your value as a designer. As a result of mostly public competitions, we have amazing architecture in Spain. I always complain about the States not having that system because there are so many public buildings being built here without any design aspiration. Lorena and Inaqui at the Venice Biennale, with the Golden Lion award for Best National Pavilion, 2016. For me, Inaqui is the bravest person in the world. He believes he can do anything, and he taught me to believe I can do anything as well. 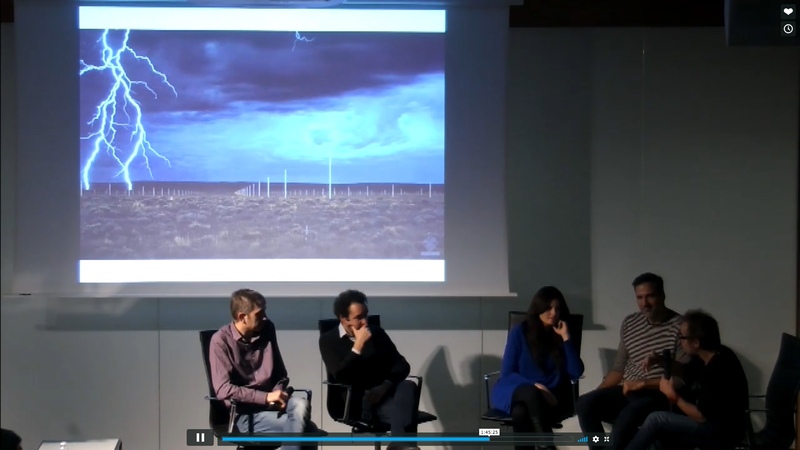 He said, “You have to apply to Selgascano – they’re going to love your work,” and he was right! As a student, I didn’t trust my skills and I wasn’t confident in myself. When I see how far I’ve come since then, and the amount of times I’ve faced my fears, I know I’ve grown a lot and Inaqui has had a big part in that. On the other side, I am and always was very patient and Inaqui really was not. He needs to see things happening right away or he gets anxious. I have a view that’s more long-term, and I think I’ve taught him its benefits. He’s more patient and less anxious now for sure [laughs]. Visit to La Fe Hospital of the Juegaterapia Foundation, 2016. In terms of my work, the way architecture was taught to me was through the study of the masters and the production of architectural objects. For me, architecture actually has more to do with daily life – what we see, hear, feel, smell, the way we behave, nature. I try to incorporate sensorial experiences into my work and translate them into a physical space. My focus is seducing the senses through architecture. In terms of my career, I never had a clear strategy – I was mostly guided by my intuition. I made decisions not because I was following a plan, but because I felt good about them. One rule I did have is to tell myself that I always need to enjoy what I’m doing and change whatever was needed in order to do work I really like. It’s all about enjoyment. Summer in Can Lis by Jom Utzon, 2011. I’m really proud of learning how to move out of my comfort zone without any fear. There is a saying in Spanish, “perfection is the enemy of good.” It’s true. You should aim to make things good, but not perfect, because if you aim to be perfect you can get lost in things that are not important. There are many ways to do things and perfection doesn’t exist – it’s all about being satisfied with what you’re doing and trying to improve. Shortly after moving to NYC in 2017. 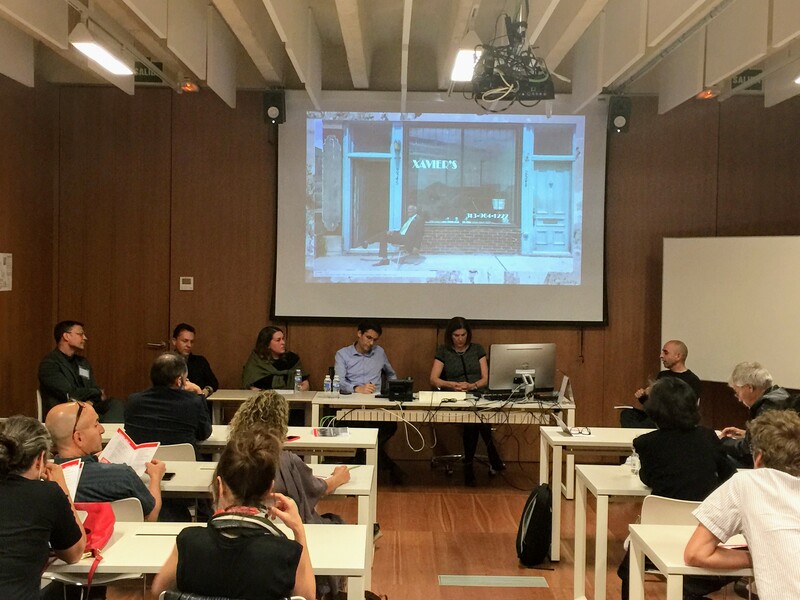 Sexta sesión del ciclo organizado desde Arquitectes per l’Arquitectura y patrocinado por Trespa, alrededor de la temática PROCESO. 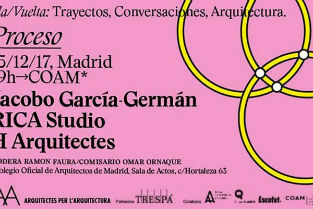 Participarán el estudio catalán H Arquitectes y los madrileños Jacobo García-Germán y RICA Studio (Lorena del Río + Iñaqui Carnicero). 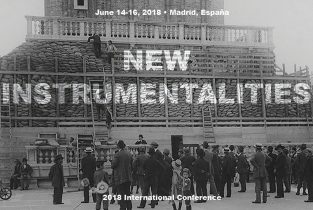 El proceso será el tema de la charla, entendido desde las múltiples interpretaciones que el término en si propone, ya sea proyectual, constructivo, deconstructivo, conceptual. Cualquier atributo sera válido para que los estudios invitados expliquen, mediante algunas de sus obras, su relación con la disciplina tanto desde un punto de vista más técnico como desde aproximaciones más abstractas, dependiendo de su manera de entender la práctica arquitectónica. 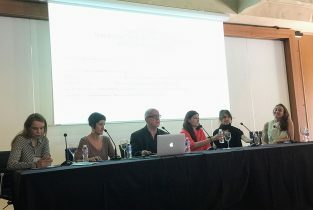 Moderará la mesa Ramon Faura, doctor arquitecto y profesor de Historia de la Arquitectura en varias escuelas del país y del extranjero. Jefe de redacción de la revista del CoAC Quaderns (2003-2006), comisario de exposiciones y músico (Le Petit Ramon, entre otros). Entrada libre hasta agotar las plazas.